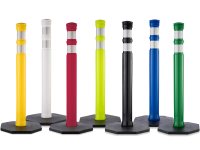 Increase the safety of drivers and pedestrians with our high impact delineator posts. These are manufactured with damage-proof materials such as polyethylene for maximum durability and best value for money. 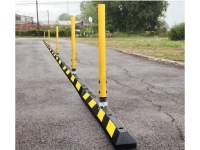 Delineator posts can minimize the chances of accident or avoidable damage. These can be used as dividers on crosswalks, sidewalks, parking lots, construction areas, sporting events, public gatherings in high traffic zones, etc., where accessible and inaccessible areas need to be clearly defined. 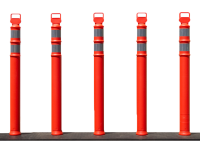 Traffic delineator posts are manufactured with heavy-duty materials to keep the posts light-weight yet highly resistant to weather-related wear and tear. For efficient traffic management, we offer bulk packages for traffic safety delineator posts at economical rates. the customer’s convenience is of utmost importance. 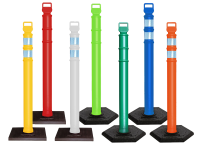 This is the reason that all our traffic delineator posts are manufactured with high quality and long lasting materials for increased durability and functionality. During installation of traffic delineator cones, it is necessary to follow the manufacturer’s guidelines. For example, the retro-reflective strip must be kept at least three inches broad in all traffic safety delineator cones. Some installation guidelines are restrictive to specific types of the cones. On interchange ramps, traffic safety cones must be placed towards the free side. Similarly, these cones must be placed on the correct side of the freeway i.e. where there is increased flow of traffic. Delineator posts can be installed inside or near private properties. If a property is under construction, the construction company needs to get prior approval for placing the cones outside. Permission is also required for installing delineator posts at different intersections such as where private/commercial properties cross with public routes. 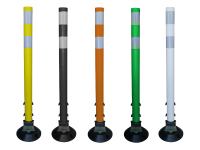 Traffic delineator posts can be used in numerous places including multilane junctions where improved visibility is required for guiding traffic. The posts can also be temporarily used to replace broken traffic separators. Sometimes, delineator posts are used to correct traffic alignment at intersections where permanent separators cannot be placed. 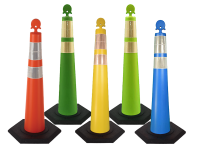 Traffic delineator cones are available in a variety of sizes, colors and designs. 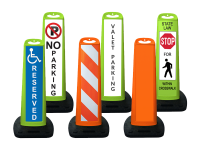 All delineator posts offer high visibility. 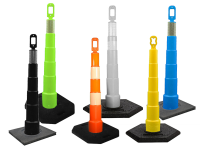 Yellow colored delineator posts ensure visibility whereas orange delineator posts offer maximum visibility. To choose a delineator post, first visit the site where it has to be placed. Calculate the estimated load and flow of traffic. 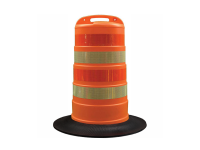 Calculate the total amount of traffic delineator cones required for placement. Note down the required visibility. 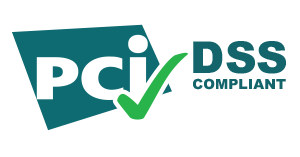 Discuss your needs with our representative. We offer discounted prices for bulk packages. The order can also be customized according to your needs. How To Transport Your Delineators? Our vertical transportation carts can eliminate your frustration and worry associated with packing, cleaning up and transportation of traffic safety delineator posts. Our vertical carts for packing and transporting delineator posts also offer zero chances of damage. Specially designed to guide foot and vehicle traffic during low or peak hours, traffic channelizer barrels can also be used to avoid accidents and restrict unwanted access such as in under construction buildings or critical areas. Manufactured with top quality polyethylene, the channelizer barrels offer long lasting durability and resistance against corrosion and other weather related wear and tear. The traffic safety channelizer drums have a unique anti-roll base design for enhanced stability and effective traffic management. Their reflective sheeting design maximizes visibility from afar, making them more effective for low lighting application. Traffic safety channelizer drums come with high impact resistance against sun damage, color fading and other such wear and tear. The choice of traffic safety channelizer posts depends on their usability. We recommend larger channelizer barrels for areas with high traffic flow, low lighting and low wind pressure. For high traffic areas having adequate lightingand high wind pressure, traffic safety channelizer posts with a rubber base are recommendedas these provide a better road grip. We offer two types of traffic channelizer barrels and drums: slim and broad. Slim channelizer barrels are more suitable for areas where traffic flow is high and lighting and wind pressure are low. Broad channelizer barrels come with a broad base, wide body and extra weight. These are more suitable for areas with extreme wind pressure. Our channelizing posts should be used with traffic safety accessories such as barricade lights which can be posted on the top of all barrels for increased visibility. Traffic safety channelizer posts come with or without an encapsulating base design. The base is manufactured with rubber or high density polyethylene for unparalleled road grip. Channelizer barrels can be fit into the base for added stability and grip on the road. Low or high density polyethylene is used to manufacture low weight channelizing barrels for increased resistance to weather conditions. Reflective stripping increases visibility of the drums and eases traffic management. Safety barrels minimize the time and effort required to manage heavy flow of traffic. Its unique engineering and structure makes the design more durable and long-lasting. High quality plastic and polyethylene used in its manufacturing makes these traffic safety barrels a one-time investment. Each traffic barrel comes with easy-to-use handles for moving the barrels. The drum and post top is designed to ensure that one product does not stick to the other while stacking. The surface of each barrel and post is finished using advanced technology to minimize the chances of color fading. When attached with the base, traffic safety drums and posts do not detach unless separated with force. To choose traffic safety channelizer posts, create a map of the location where barrels or posts are to be placed and calculate the approximate traffic flow. Now, check the lighting in that area. Discuss your requirements with our representatives. 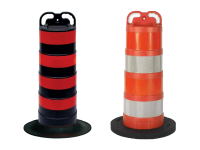 Tip: Always choose traffic safety channelizer cones with reflective stripping for low lighting or dark areas. At Crowd Safety Products, we provide vertical packaging carts to ensure safe transportation of your required products. Our vertical carts have capacity of multiple channelizer barrels or posts which allows for easy handling and transportation of all our products.